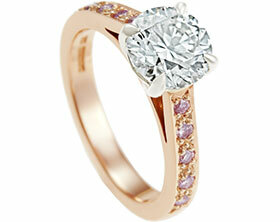 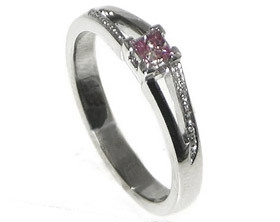 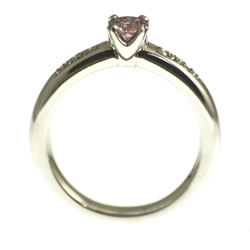 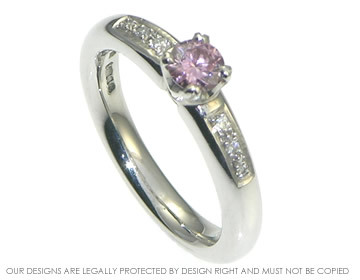 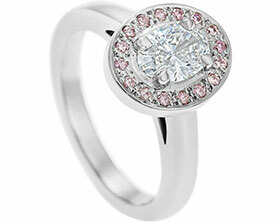 This stunning pink heat-treated diamond engagement ring holds a 0.33cts brilliant cut SI/VS fine quality heat-treated diamond.The 6 1.5mm H SI fully brilliant cut white shoulder pave set diamonds contrast with the soft pink colour beautifully and add a little extra sparkle.The softly rounded band of the ring is about 3mm wide at the back and about 3.5mm wide at the front where the white diamonds are set.The central diamond has been delicately 4 claw set in a way such that a lot of the side profile of the diamond is visable too. 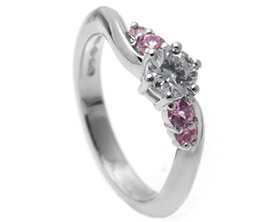 The treatment of this diamond is a special process using state of the art technology to produce this beautiful and permanent colour change. 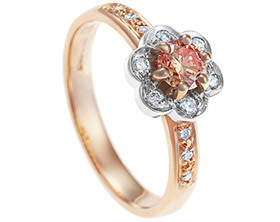 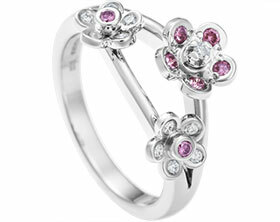 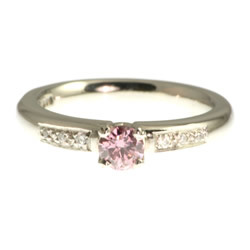 Natural pink diamonds like this would cost many thousands of pounds so this new technology makes this ring within reach! 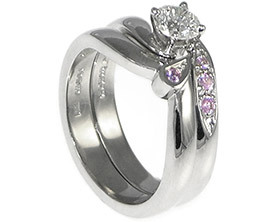 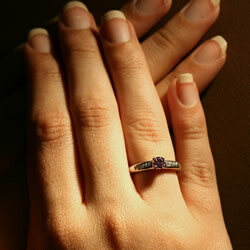 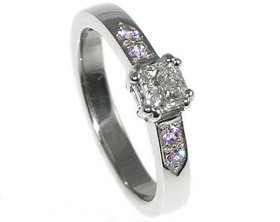 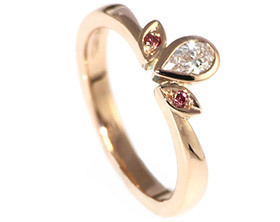 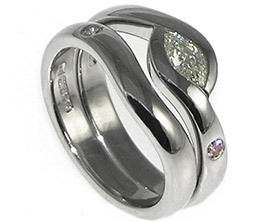 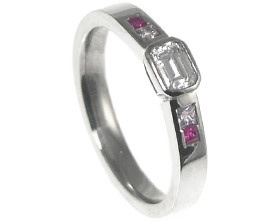 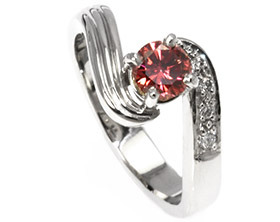 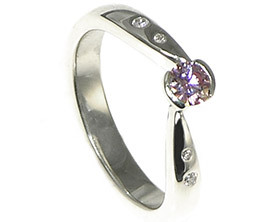 The treatment means that the ring must not be heated up to very high temperatures (eg by a jeweller during resizing of the ring) or cleaned in an ultrasonic cleaner so special care needs to be taken when resizing this ring in the future and the stone must be carefully removed and re-set during any future resizing work.